I couldn’t have said it better than my mom did: It’s fall!! 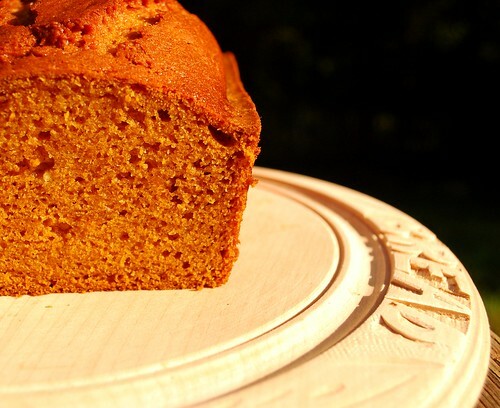 It’s time for Pumpkin Bread! Dear readers, this past weekend was my very first farmers market selling bread on our town square. It was so much fun! The whole experience was an all-around success. I made new friends, got to know some local farmers, and even traded a few loaves for some fresh produce for next week’s baked goods! Today is Her Royal Highness Queen Elizabeth II’s actual birthday, and my mom and I decided to make some truly authentic English scones in celebration! I always eat breakfast, every morning. You’ve got to. Mom says. But I usually eat it on the run. 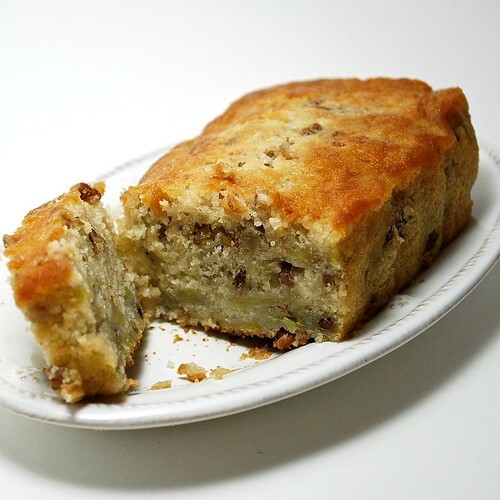 Banana bread should be many things. It should be very banana-y. 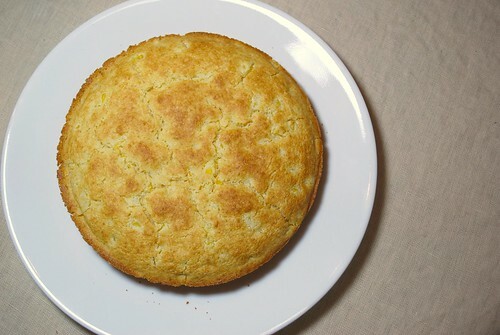 It should be a beautiful golden brown. It should be studded with toasty nuts or melty chocolate chunks. It should be fresh, flavorful . . . homey. Must most of all? 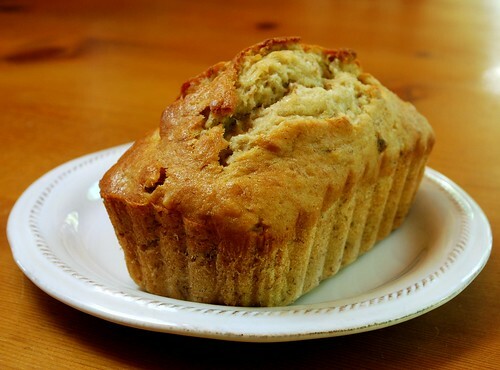 Banana bread should be outrageously, unbelievably moist. 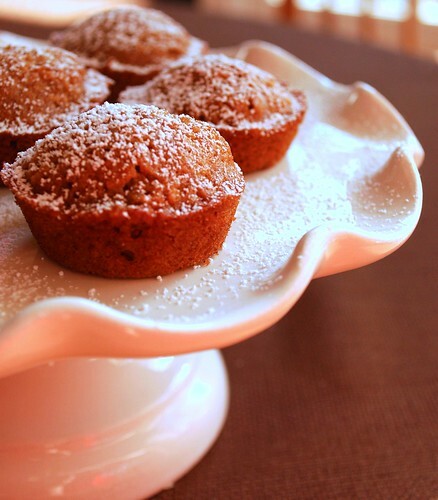 These perfect little guys are the best for popping into your mouth as you run out the door in the morning. 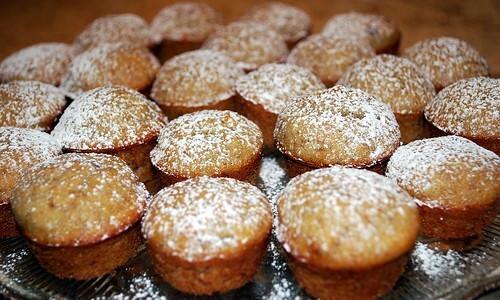 Hot out of the oven, they fill the house with an unbelievably comforting scent of apples, spices, and homey goodness. 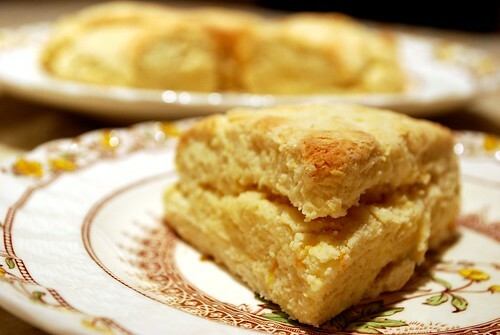 Their edges are ever so slightly crispy, their centers are as moist and light as a cloud. 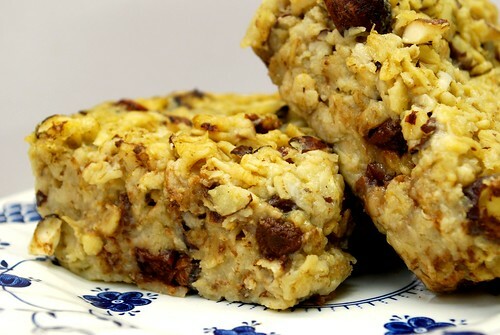 You are going to be surprised by how many you can eat! This is the 100th Vintage Victuals post!!! In celebration of this momentous occasion, dear readers, I am happy to share with you a fantastic recipe for 100% Whole Wheat Bread. I’m also pleased to announce my very first VV Giveaway!! The recipe in this post comes from one of my all-time favorite cookbooks – packed with vintage recipes, of course! 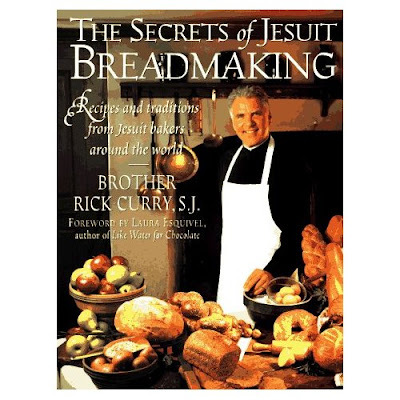 It’s the Secrets of Jesuit Breadmaking, and you can win this cookbook from Vintage Victuals! The Jesuits have a special place in my heart, as I am, in fact, the product of a Jesuit college education. You may recognize this book from earlier posts on Vintage Victuals. 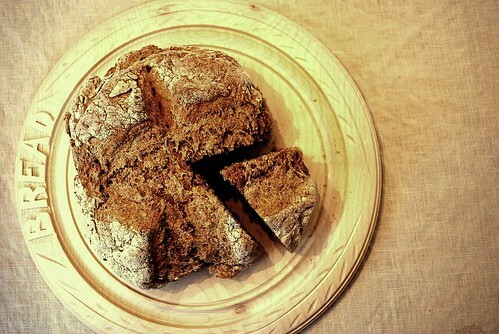 This is a great resource full of tried-and-true bread recipes that one Jesuit priest gathered from Jesuits around the world through the course of his career as a Jesuit cook. It is also chock full of great breadmaking tips and cute stories about the origins and stories that each recipe brings to the writer’s mind. It reminds me a lot of what I love best about cooking and baking – the stories and families that come together around food.